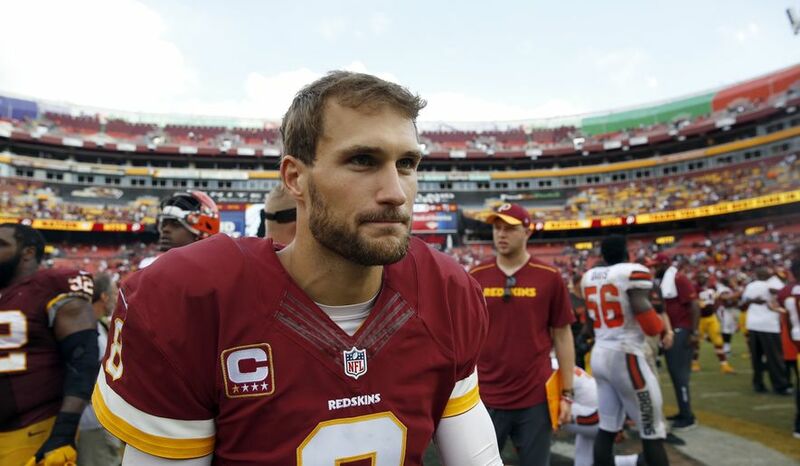 July 17th, 2017; one of the biggest days in recent Redskins history as fans and media alike were anxiously awaiting the 4:00 PM deadline to see if the Washington Redskins and Kirk Cousins could reach an agreement on a long-term contract. If Cousins plays well throughout the season and the Redskins really don’t want Cousins to hit the open market, they can place yet another Franchise Tag at a whopping $34 million. A $10 million increase over the previous Franchise Tag but this locks Cousins from speaking with other teams if they designate the exclusive tag. This also buys them time to work on another long-term contract if they choose that direction. He may be feeling out the direction the organization is going as there were several changes in both players and coaching during the current off-season. If he feels comfortable with how the Redskins are building and there’s continuity, then it’s possible a long-term contract may be agreed upon. Possibility: Low. The large increase in salary is a big deterrent but if Cousins takes the team to playoffs and wins a game while playing at a high-level, the Redskins may use the tag so Cousins doesn’t have the chance to speak with other teams and can keep the conversation between the two sides on a possible long-term contract. The non-exclusive tag would allow Cousins to negotiate with other teams but the Redskins reserve the right to match any offer. If they don’t match the offer, the Redskins are entitled to two first-round picks. 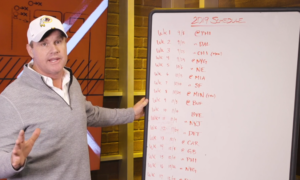 This may be a way for the Redskins to see what the market is willing to pay Cousins and if it’s higher then they are comfortable with, they may choose to not match and then receive the two draft picks. If they do use the non-exclusive tag then it shows the Redskins weren’t overly impressed with Cousins and feel as though their offer this off-season is the ceiling as to what they are willing to pay. However, this also may play in their favor. If Cousins does have an average year and other teams offer(s) are aligned-with or slightly lower then the Redskins offer, then the Redskins can match the offer at a more comfortable price. If matched, both sides still have the opportunity to work on a long-term contract. This may make it easier to come to an agreement as Cousins has seen his value around the league and know that the contract being offered is the ceiling of his salary. Possibility: Fairly High. A 9-7 record and just missing out on the playoffs may be enough for the organization to allow Cousins to test the market but still giving the opportunity for the Redskins to match an offer or receive two first-round picks as compensation if they choose not to match. However, if there’s no offers then the Redskins will have to pay the $34 million or look for a trade. Similar to the non-exclusive franchise tag in the sense that it gives other teams the opportunity to speak with Cousins and his agent. However, the overall salary for the 2018 NFL season would be only $28 million, $6 million less then the Franchise tag. Also, if the Redskins choose not to match an offer then they don’t receive any form of compensation. Possibility: Low to Medium. A 7-9 record with a few games of average performance mixed in with several above average games. Cousins hasn’t declined but hasn’t really shown a great improvement. It may be because of changes with the receiving corp or may because he has hit his ceiling. The Redskins feel comfortable with another offer in mind and feel strongly that other teams deals are low. 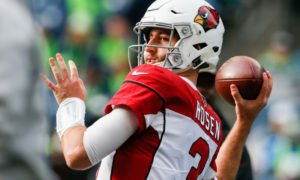 There are several teams in the league who are in need of a quarterback and may be willing to offer a trade for Cousins, especially if they are unable to negotiate. 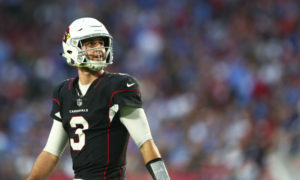 Earlier this year, the San Francisco 49ers were brought up as a possible suitor for Cousins so that he may be reunited with former offensive coordinator, Kyle Shanahan. The 49ers still may be looking to fill the position come next off-season and if they are willing to provide a hefty offer, then the Redskins may take the opportunity to wash their hands of this ongoing debacle. However, that offer would have to be substantial due to the fact that the compensation of going through the non-exclusive tag and simply not matching an offer is pretty high. Other teams like the Cleveland Browns and New York Jets may be other teams that could come calling for Cousins. Possibility: Medium to Low. This may be one of Redskins backup plans if they are unable to work on a deal or if there’s no offers made while using the non-exclusive or transition tag. It’s possible the team can have a exuberant long-term contract ready the minute negotiations are allowed during the off-season and Cousins is blown away by the guaranteed money. Just saying, its a possibility. Possibility: Unfathomable Low. NFC Championship Game or Super Bowl and if the outcome is a loss, then it wasn’t because of how Cousins performed. This is the Redskins allowing Cousins, who they just paid $43.9 million over two seasons, to simply walk away from the team and receiving no form of compensation. Possibility: No way. Only if Cousins throws 50+ INT and 5 TD’s plus has a major injury, this isn’t happening. It’s still extremely early to truly gauge how one option may become more increasingly possible as it’s still pre-Training Camp but it’s interesting the paths the Redskins have available to them come next off-season. All in all, Cousins is the quarterback for the 2017 season and all that we can do is sit back and watch as the story continues to unfold. Poll: Would you work for the Redskins?